Tendrils of new growth create this heart, symbolizing new love. Including the loop at the top, it is just over 1 1/4" tall. 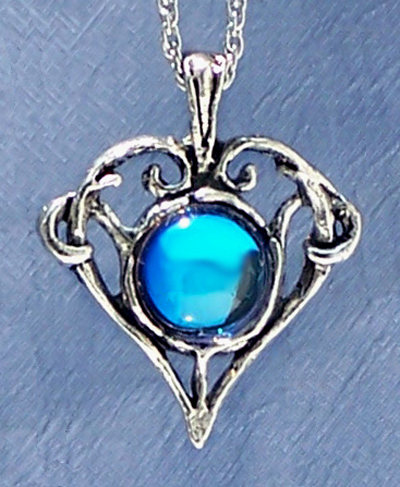 We make each pendant by hand from lead-free pewter, and it comes on a chain.